Middle East Perspectives by Rick Francona: Obama to "engage" Syria - why not? Obama to "engage" Syria - why not? President Barack Obama has nominated a career diplomat to be the U.S. ambassador to Syria, a post that has been vacant for five years. 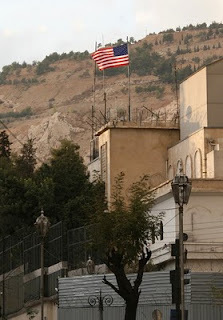 The Bush Administration withdrew the ambassador after the 2005 Syrian-engineered murder of former Lebanese Prime Minister Rafiq al-Hariri in Beirut. Obama's spokesman stated that the appointment was "President Obama's commitment to use engagement to advance U.S. interests by improving communication with the Syrian government and people. [The] ambassador will engage the Syrian government on how we can enhance relations, while addressing areas of ongoing concern." At first blush, Obama's critics - I am generally in that camp, as his Middle East policies thus far have been abject failures - will jump on the words "engagement" and "engage" since these are the exact words used to describe his attempts to influence the actions of Iran. Of course, we now how that has worked out so far. The Iranians have not changed their policies in the slightest - they continue to enrich uranium in defiance of virtually the entire world in what has become a fairly transparent effort to develop nuclear weapons. Syria and Iran are, and have been for decades, close allies - they have a mutual defense pact and are the sponsors of Lebanese Hizballah. Without Syrian cooperation, Iran's Islamic Revolutionary Guard Corps (IRGC) Qods Force would have problems providing the money, weapons and training that allow Hizballah to remain the most potent political force in Lebanon. Hizballah provides Tehran with leverage with the Israelis - a not-so-transparent proxy force to cause problems for Tel Aviv virtually anytime the Iranians wish. Without doubt, Iran is the world's largest state supporter of terrorism - it has been on the U.S. State Department list since 1984. Their clients read like a who's who of that particular ilk - Hizballah (which they created in 1982), Hamas, Islamic Jihad and Muqtada al-Sadr's jaysh al-mahdi (with American blood on its hands) to name but a few. Syria is a close second, being on the State Department list since 1979. Not only is the regime of Bashar al-Asad a sponsor of terrorist organizations, it continues to meddle in the internal affairs of Lebanon, and has developed an arsenal of chemical weapons and the North Korean-designed and/or provided ballistic missiles with which to deliver them. Even more troubling are recent indications that Syria is in the initial stages of a nuclear weapons program of its own. In 2007, the Israelis bombed a nuclear reactor, most likely provided by North Korea. The facility was an exact copy of the North Korean reactor at Yongbyon, the birthplace of Pyongyang's nuclear program. North Korea also reportedly has provided Damascus with the technology to manufacture maraging steel. Maraging steel is used almost exclusively in the production of ballistic missile or isotope separation centrifuges. See my earlier article, North Korea resumes military assistance to Syria. Does this sound like a nation that we want to "engage" and improve relations? Hear me out. Syria, despite its abysmal policies, is a key player in the Middle East. It is a critical piece of the Middle East peace process, which is currently all but dead. Yes, part of the blame for that is the Obama Administration's heavy-handed treatment of Israel, believing that they could force the Israelis back to the negotiations. However, without a Syria-Israel agreement on a resolution of the decades-old issue, there will not be, there cannot be, a lasting Middle East peace. There is an old adage we Middle East specialists learned long ago, "No war without Egypt, no peace without Syria." If - and that is a huge word here - the United States, and right now that is the Obama Administration, can bring Syria and Israel into some form of negotiations, that would be an immense first step towards a solution. The two parties have to be serious when they come to the table, and therein lies the problem. There will be preconditions. Even if they say there are no preconditions, there are preconditions. 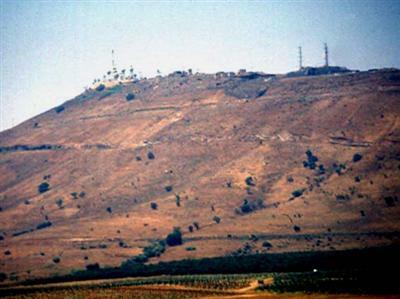 First and foremost for Syria is the return of the Golan Heights. Without that going in, there is no need to even meet. No Syrian president would survive any agreement that does not include the outright return of Syrian territory. Could that be nuanced to allay Israeli security concerns? Possibly - Syria might allow the presence of an early warning station on the heights. Israel's signals intelligence site and observation facility atop Tal Abu Nada (or Har Avital as the Israelis call it) provides Israel with a capability to monitor Syrian troop movements toward the border. Man it with American contractors, have American and Russian technicians jointly run it, remote the sensors - come up with some out-of-the-box proposal, whatever. The bottom line, however, is that the territory must revert to Syrian sovereignty and control. There may even be negotiated demilitarized areas. The Israelis will also likely demand that Syria commit not to alter the water flows on the Golan Heights - the area is home to the headwaters of the Jordan River, a critical lifeline for Israel. The Israelis will also have other demands. One of the key requirements they will demand of Syria is that Damascus cease allowing Iran to use its airspace, airports and roads to resupply Hizballah in Lebanon. Virtually all of Iran's support to the terrorist organization flows through Syria, most of it through Damascus International Airport. Is this difficult? Of course. Is it possible? Maybe, but the first step just might be to get an American ambassador back in to the U.S. Embassy in Damascus and at least start talking to President Asad. If - again that huge word - we can convince Damascus to restart talks with Israel and in the process break the Tehran-Damascus axis, it's worth the risk. Perhaps Asad can be convinced with the right incentives. Solving the Syria-Israel issue will go a long way to resolving many of the other issues in the region. We have an embassy in Damascus, we might as well have an ambassador. While we may not be able to talk to the Iranians, you can talk to the Syrians. 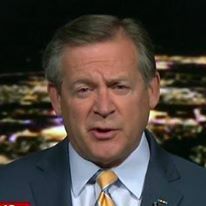 An acknowledged Middle East expert, dynamic speaker, author of Ally to Adversary - An Eyewitness Account of Iraq's Fall from Grace, retired intelligence officer and former CNN and NBC military analyst Lt Col Rick Francona offers his thoughts and opinions on various Middle East topics. Recommended by TIME.com, CNN.com, MSNBC.com and the Chicago Sun-Times.